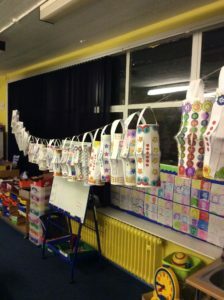 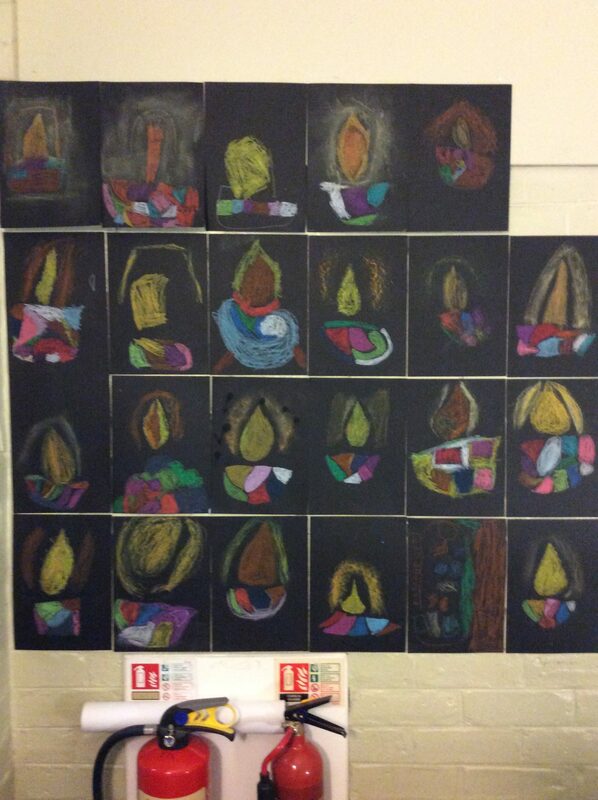 P3 have been learning about Diwali. 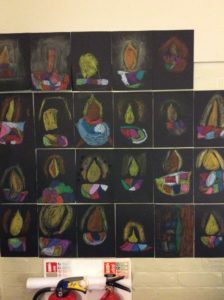 A Diya is a candle that is lit especially at Diwali . Diyas are usually made of clay with oil used as the fuel and cotton wool as the wick. We created Oil Pastel pictures of Diya candles. We also create Diwali Lanterns.